I am a painter and draftsman as well as a photographer. It is impossible for me to separate my photographic work from my traditional art. Such greats as Henri Rousseau, Marc Chagall and Joan Miro as well as Minor White and Wynn Bullock have all had deep influences on how I see the world. I was first introduced to the work of JEFFRIS ELLIOTT a few years back when he submitted his series Mother and Portraits From Mexico to Photo-Eye Gallery Photographers Showcase, then juried by Rixon Reed, Melanie McWhorter and myself. I had the pleasure of meeting Jeffris and viewing his impressive work from the Middle East at the 2009 Portfolio Viewing at CCA/Center For Contemporary Arts in Santa Fe, NM. In Elliott's own words: Minor White introduced me to the conscious link between a spiritual life and the photographic image. I worked as Minors apprentice, helping with his darkroom, arrieses, viewing sessions and classes at M.I.T. We also traveled through Nova Scotia photographing and camping. I was in the beginning of my artistic life and Minor was nearing the end of his. He introduced me to the work of his spiritual teacher Gurdjieff, which later led me to living and practicing ZaZen. All that you post is divine, Elizabeth! Thank you for adding me as a contact. Congratulations for your great work! Great blog! Love that you featured Danny Lyons' photograph of a biker going across the Kennedy Bridge in Louisville, my hometown. And, the Julie Blackmon photos. So wonderful. 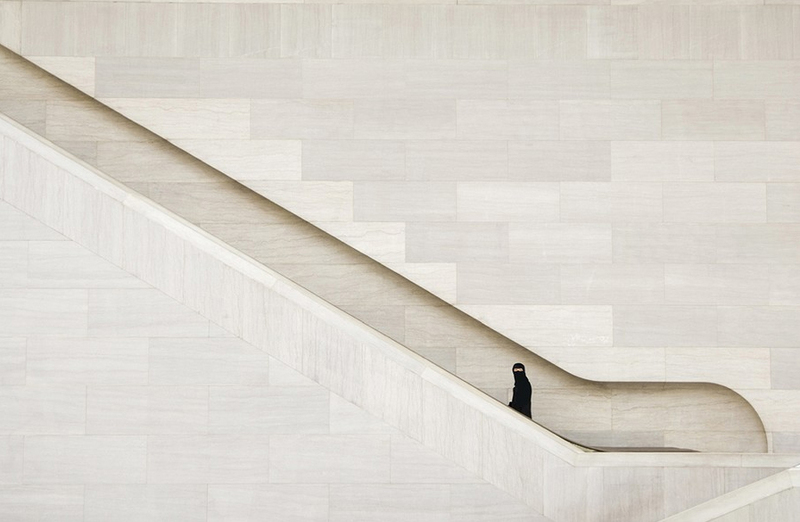 The Islamic Woman Ascending Stairs photograph has some hypnotic power. The contrast with the background, the line traced by the stairs and the contrast of modern, old, civilization and ancient traditions. I love it. The second one had me thinking for a while, wondering where the second hawk was. 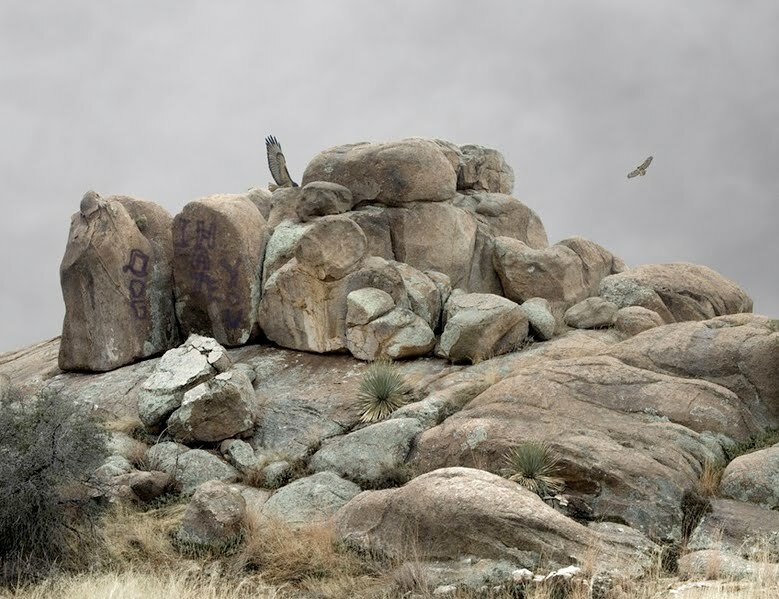 In the larger image I saw the wing blended with the rock as if protruding from it. Wonderful snapshot.